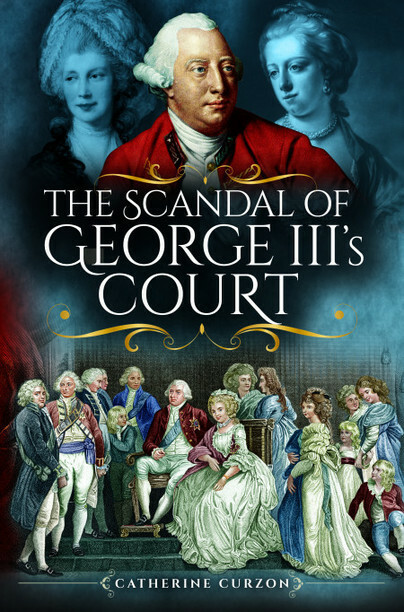 You'll be £3.99 closer to your next £10.00 credit when you purchase The Scandal of George III's Court. What's this? From Windsor to Weymouth, the shadow of scandal was never too far from the walls of the House of Hanover. Did a fearsome duke really commit murder or a royal mistress sell commissions to the highest bidders, and what was the truth behind George III's supposed secret marriage to a pretty Quaker? With everything from illegitimate children to illegal marriages, dead valets, and equerries sneaking about the palace by candlelight, these eyebrow-raising tales from the reign of George III prove that the highest of births is no guarantee of good behaviour. Prepare to meet some shocking ladies, some shameless gentlemen and some politicians who really should know better. Love, greed and ambition were the currency, and the stakes were high. You can have no better tour guide to the subject. Catherine Curzon’s sense of humour and eye for detail is eminently suited to opening a window of the court of the house of Hanover and peeking in... In this book she delivers on her promise to get to the bottom … I mean lift the petticoats … I mean tailcoats … untangle … She investigates allot of the most famous scandals associated with the various George’s and their queen’s. The strength of this book lies with the author. Catherine Curzon has a talent for telling stories – especially scandalous ones, apparently. She draws the reader in with an easy -going, conversational style, presenting the facts with her own colourful observations, making the reader feel a part of the scandalous liaisons and conspiracies that make up this book. The Scandal of King George III’s Court is a pleasure to read, and probably the greatest escapism you will ever experience from a non-fiction book. The writing – which is of no surprise given this is Ms Curzon we are talking about, is flawless. It’s fun, engaging, ridiculously addictive and thoroughly entertaining. I had to pick this book up to read because I am quite the fan of Curzon’s books on the Georgians. Her writing style just oozes charisma and makes it feel like you’re having a cheeky chat about the royals over a cup of tea with her rather than merely reading a book. It’s a very rare thing to find a nonfiction book that is both interesting and compulsively readable and this gem of a book is certainly one of the rare ones that is both of these! It’s intriguing and accessible and also fun, making it brilliant not only for history lovers and gossip loving academics but also the casual reader. With a pithy writing style well suited to the subject matter, Curzon has produced a page-turner that lifts the lid on the private lives of very public figures. It was fun, amusing. Curzon’s jaunty writing style lends itself to the subject and it’s obvious that the eighteenth century is her passion. She writes sympathetically and makes evenhanded judgements on the truth or otherwise of the rumours and scandal. She uses contemporary sources, later literature and current scholarship to provide a rounded picture of events and the people involved. This book is a an accessible, fun, introduction to the period and people of George III’s court. I don’t want to spoil or give away too much because this is definitely a book I would recommend all my history loving readers to pick up! But I just enjoyed the way this book was written so so much! It became a really fun and easy read and something that I could easily pick up and finish chapter after chapter! This is a five star read for me for sure, it has made me so excited about a topic and time period that I haven’t delved into that much and I am now super excited to read more about this fabulous Georgian era! Definitely give this one a go guys!